A latest report by the National Bank for Agriculture and Rural Development (NABARD), a government agency, again, shows the vulnerability of Indian agriculture households. The NABARD All India Rural Financial Inclusion Survey (NAFIS) shows that average agriculture household income was a mere Rs 8,931 per month in 2016-17. Apart from a paltry income, farmers are facing rising indebtedness, lesser financial inclusion, and absence of insurance facility, according to the report. What is shocking is that in the past four years, the income of a farm household has increased by just Rs 2,505/month. 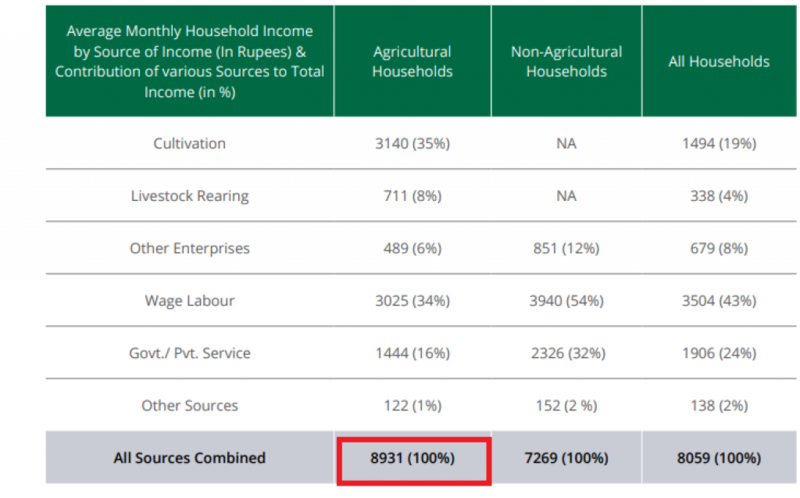 This is calculated by comparing the NABARD report with a 2012-13 study by the National Sample Survey Organization (NSSO), another government body that estimated the average monthly income of farm household at Rs 6,426. This income would actually be lesser if food inflation is included. Launched in 2016-17, NAFIS is a national level survey that offers a comprehensive overview of the rural population in terms of their status of livelihoods and level of financial inclusion. It was conducted in more than 40,000 households from 245 districts in 29 states. While cultivation is still a major source of income (35 per cent), followed by daily wage labourer (34 per cent), livestock rearing contributes only 8 per cent of their income. The survey shows that 41 per cent of rural households are indebted, of which majority (43 per cent) are agriculture households. Gujarat, Maharashtra, Telangana, Jammu and Kashmir and Himachal Pradesh are the most indebted households. Around one-third of total households take loan from money lenders and other non-financial institutions. Although around 60 per cent of households take loans from financial institutions, the average amount of loan from non-institution is more than double than any financial institution. The average loan per household from non-institutional sources is Rs 63, 645 whereas average loan from financial institution is Rs 28, 207. It clearly shows that one-third of rural households, which require the most support, are weaned away from financial inclusion. It also states that financial institutions do not prefer to lend in rural areas and they prefer to give the least they can. On an average, rural households have a debt of Rs 91,852. Only one-fourth of the total rural households have any kind of insurance such as life insurance, vehicle, accident or health insurance. Out of the total rural households, only 26 per cent of agriculture households have any kind of insurance. Only 5 per cent and 2 per cent of rural household have vehicle and accidental insurance respectively, said the survey. Only 6 per cent of rural households have health insurance. The health insurance among agriculture households was lowest (5 per cent) among rural population. 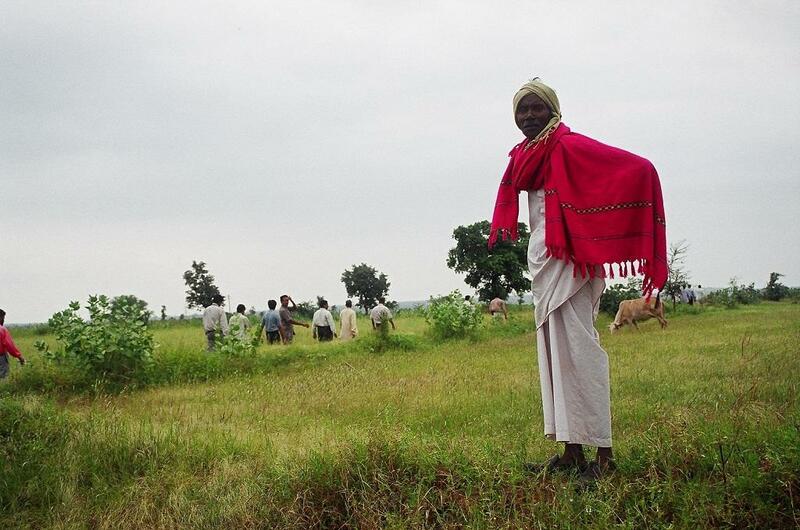 Pension is another social security scheme to provide income support to rural households, but only 19 per cent of rural households get any kind of pension. 20 per cent agriculture households got pension. Around 49 per cent of total rural households report savings in financial institution and around 53 per cent of agriculture households save in financial institution. Besides, one-fourth rural households cannot use an ATM independently and 60 per cent of rural households cannot use mobile banking as they needed help to use it. Only 20 per cent rural households reported to be associated with Self Help Groups.